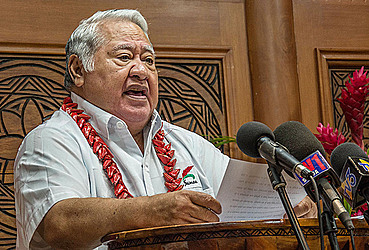 Prime Minister Tuilaepa Dr. Sa’ilele Malielegaoi has identified climate change as the “single greatest threat to the livelihood, security and wellbeing” of Samoans and Pacific people at the beginning of 2019. Tuilaepa highlighted the issue in his his New Year’s Address to the nation on Monday night. “Central to our sustainable development and survival, is our commitment, to ensure that the environment and natural resources that we depend on, are secure and sustainable,” Tuilaepa said. The Prime Minister urged Samoa to help in the fight against climate change. “Accordingly, at the climate change conference in Poland early this month, all small island states rallied strongly, to raise the international ambition to combat climate change,” he continued. Tuilaepa described how around the world and here at home, the effects of climate change are apparent, and resulting in death. “Extreme temperatures have warped tar sealed roads in the city of Florida, again, with resultant loss of life from heat waves,” he said. “Global warming are melting glaciers, resulting in fast sea level rise, and the inundation of coastal areas. But it is not just government that can put a stop to climate change, Tuilaepa said. “Samoa, let 2019 be a year of bolstering our efforts to plant more trees. Let us start now by teaching our children to plant more trees and to care for the environment. The “tree of life” is a Bible bound reminder of the worlds obligation to protect the world, Tuilepa said. “The Creator of all perfections also explicitly forewarned right from the beginning for man to take heed of the “tree of life” which is the key to sustain perfect happiness in paradise. As we await the first dawn of the New Year 2019, it is fitting and appropriate that we reflect on the celebrations as well as the turbulences of 2018, so that we can give God the glory, the honour and the praises, for His mercy and protection of us all in the past twelve months. Over the last twelve months, many planned targets for our developments were accomplished through the joint collaboration of our people both in Samoa and abroad, and our development partners and the government. I take this opportunity to extend to all our people and friends, sincere appreciation and gratitude for your contributions to the sustainable development of our beloved country. In this regard, I acknowledge and thank all our development partners for their assistance in making Samoa’s development aspirations a reality. These include Australia, China, European Union, Japan, New Zealand, and the United States, as well, as the multilateral financial institutions and organizations supporting our efforts, including the World Bank, the Asian Development Bank, the International Monetary Fund, the United Nations and its Agencies, and the Pacific CROP agencies. We continue to see upgraded infrastructural developments, institutional building, and increasing opportunities for building capacities. Aside from annual scholarships, for the sons and daughters of Samoa, our leaders of the future, there are people to people linkages, programs and many more opportunities, for short term attachments, workshops and seminars for our people internationally. We have seen the completion of the airport terminal buildings, and the Apia Ports extension phase, providing greater berthing space for vessels. We have secured the necessary infrastructure for improved connectivity, but we must not detract from the importance of cybersecurity considerations. At this juncture, I wish to make special mention, of all our farmers, in particular, those operating at the commercial level, who have promoted the resurgence of production and export of bananas, and the resumption of taro exports to American Samoa. This year has seen, a rapid unfolding of a changing geopolitical landscape in the Pacific region. While individual countries, have had to carefully assess, the benefits of development cooperation bilaterally, they have also been resolute, in driving what is best delivered regionally, such as the management of fisheries and marine resources and climate change, under the aegis of the Blue Pacific platform. 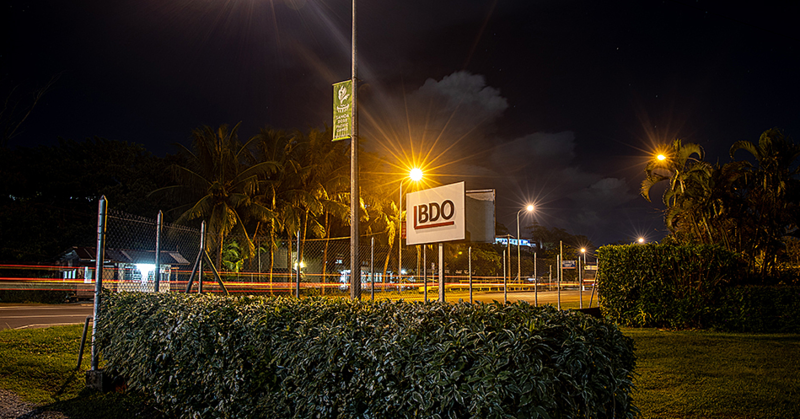 Central to our sustainable development and survival, is our commitment, to ensure that the environment and natural resources that we depend on, are secure and sustainable. As a small island developing state, the single greatest threat to the livelihood, security and wellbeing of Pacific people including Samoa is climate change. Urgent action to combat climate change is now. Accordingly, at the climate change conference in Poland early this month, all small island states rallied strongly, to raise the international ambition to combat climate change. Around the world, we are seeing on our television screens, wildfires, devouring huge acreages of forest cover, and homes, with the resultant loss of life. Extreme temperatures have warped tar sealed roads in the city of Florida, again, with resultant loss of life from heat waves. Global warming are melting glaciers, resulting in fast sea level rise, and the inundation of coastal areas. Our own experiences of natural disasters, over the last decade and recent years, emphatically speak of the detrimental effects of climate change on Samoa. Increasingly severe tropical cyclones, unprecedented flash flooding, and almost unbearable temperatures during the day, and continuing erosion and submergence of low lying coastal areas, have hit us. The seas have become warmer, fueling the development and regularity of devastating cyclones in the tropics. And these cyclones are expected to increase regularity and severity. Ocean acidification, as a result of gas emissions, is affecting all marine life, in particular, coral bleaching; the slow onset demise of our coral reefs has begun. We are, already seeing the disruption in the usual migration patterns of fisheries such as tuna in the Pacific, which will impact directly on the economies of the Pacific Island Countries including Samoa. Samoa along with all small islands states, welcome the Intergovernmental panel for Climate Change’s special report on the 1.50 Celsius, and calls for ambitious and unprecedented changes and commitments from all signatories to the Paris Agreement to keep global warming within 1.50C. There is urgency for a global response to this call. Our Government’s efforts channeled through infrastructural developments such as roads, bridges and sea walls, protection of our water catchment areas, relocation plans through our plantation access roads programme for easier movement from vulnerable coastal areas to inland, enhancement of agricultural diversification, replanting and reforestation, marine conservation, and regular reviewing of existing policy and legal frameworks, must be tailor-made towards our adaptation responses to climate change. In short, we are planning and building back better and ‘climate proofing’ all development initiatives, to the extent possible. We continue to build hydro schemes, and add to our inventory of solar plants, so that we can further reduce our dependence on fossil fuels and greenhouse gas emissions, the sole cause of impending catastrophes on planet earth and as well, find solutions in renewable energy. Everyone in our country has a contribution to addressing the challenges of climate change. We can all contribute to the care of our rainforests, through planting of trees, and managing our forests sustainably. In that way, we will add to the carbon well, that soaks up the carbon footprint, and will be an invaluable contribution to our nation’s commitment, to save this planet earth. Ironically we are again reminded so much more clearly now, of the importance once again of the “tree of life” and its deeper meaning in the book of the creation of the Universe. The natural laws of creation and the necessary balance to maintain at all times the sustainability of life on planet earth were in place right from the beginning of time, and the Creator of all perfections also explicitly forewarned right from the beginning for man to take heed of the “tree of life” which is the key to sustain perfect happiness in paradise. We have ignored that warning. We all know now the causes of climate change – We also know the deadly consequences. We know the solutions. What is needed is the strong leadership and courage to drive what we must do to save planet earth for ourselves, our children and generations to come. Samoa, let 2019 be a year of bolstering our efforts to plant more trees. Let us start now by teaching our children to plant more trees and to care for the environment. Let this, be a resounding message across all sectors of our economy, the church and the community. Let our actions speak louder than words. This requires selfless leaders, and courageous champions to lead this fight against climate change to save planet earth. Let this year be a year of strengthening our custodianship of our marine and water resources. We cannot afford to selfishly abuse these necessities, for they are keys to sustaining our livelihoods and survival. Let 2019 be a year of spiritual revival and completeness. Our efforts and plans will amount to nothing without the divine leadership of God. Already we have heard of the devastation of tsunamis and volcanic eruptions to our Asian neighbours, brothers and sisters post Christmas. Let us learn to appreciate God’s blessings on Samoa. Let us turn away from the bitterness and malice that is propagated through the social media. Let us look deep and seek sustainable solutions to the growing problems of violence and substance abuse. We shall not allow fear, hatred and indecisiveness to overwhelm us, from making sound and bold changes in policies for the betterment of Samoa and its people. We should look beyond the problems and refuse to settle for quick fixes. Samoa will be hosting three main events in 2019; the Commonwealth meeting for small islands states in March; the Pacific Games in July and the African Caribbean Pacific ministerial meeting for Agriculture and Fisheries in September. I would urge that we continue to work together in our preparations for hosting our friends from around the world and in particular, the sports people from our Blue Pacific continent. 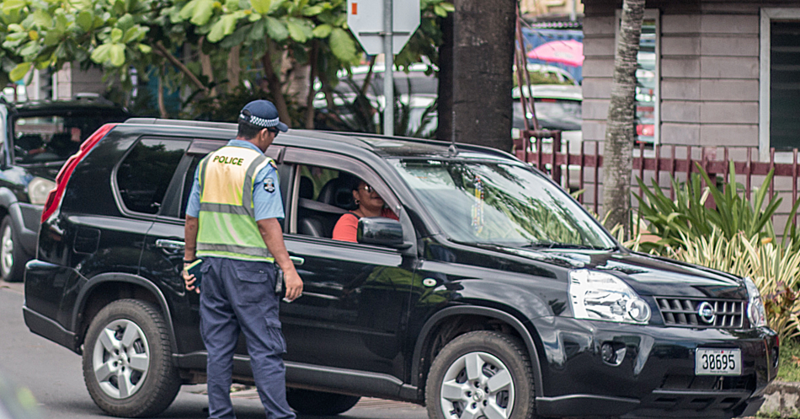 Today also marks the beginning of the week of prayers and fasting throughout the whole country conducted by the leaders of the Council of Churches in Samoa. We have witnessed again and again the miraculous and indescribable power of our Lord that had spared Samoa from the fury of many natural disasters in the past. This week we will humble ourselves before God, to seek His guidance and protection over Samoa. Let us join in unity this week to fast and to pray together as a nation. In celebration of the New Year; and Samoa being the first country in the World to usher in, the very first dawn of the new year ever since we shifted the International Dateline to stay permanently between Samoa and American Samoa therefore, it is fitting that Samoa put on a display of fireworks to herald in 2019; an event that will be repeated on every New Year in the future. In a few minutes from now following my address to you all, the fireworks will be set off from behind the government building, on the calm waters of our Apia Harbour and also at the Taumeasina Hotel site, to mark the beginning of the New Year. I wish every family and the people of Samoa, a glorious and a safe New Year. God bless Samoa. 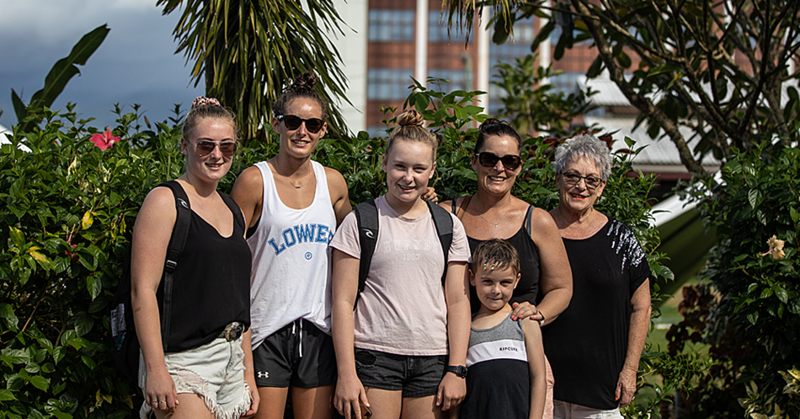 They said they have three more nights in Samoa and had a good laugh when they mentioned the roads that awaited them outside of the airport upon arrival. "But still, you know, the bumps were fun and the van with no suspensions; we were all laughing, we had fun," said Kerry.